SANTA MONICA, Calif., Jan. 14, 2018 /PRNewswire-USNewswire/ -- Helping to advance revolutionary research in prostate cancer, Robert F. Smith, Founder, Chairman and CEO of Vista Equity Partners, has donated $2.5 million to the Prostate Cancer Foundation (PCF) to focus research on African-American men as well as launch The Robert Frederick Smith Center of Precision Oncology Excellence in Chicago, Illinois – to aid veterans in the metropolitan area and beyond – who are battling prostate cancer. The Smith Center will serve as a precision oncology hub in PCF's preeminent network of centers working to fulfill the ambitious mission of improving the care of U.S. veterans with prostate cancer. Smith's gift is the largest donation ever made specifically targeting research and care for African-American men with prostate cancer who, statistically, are 73 percent more likely to develop prostate cancer than any other race or ethnicity. "I am delighted to support the lifesaving work of accelerating promising medical research to serve our nation's veterans who urgently need better treatments and cures and access to cutting-edge precision oncology," said Robert F. Smith. "On the day we remember the life of Dr. Martin Luther King Jr., let us also remember his messages of service and of equality. With these resources, we will do right by those brave veterans who served our country, and we will change the odds for millions of African-American men who should be surviving prostate cancer." 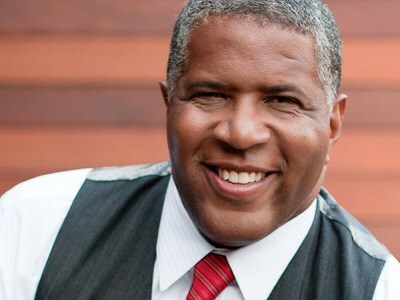 "We are profoundly grateful to Robert F. Smith for his incredible generosity and his leadership," said Jonathan W. Simons, MD, PCF's president and CEO. "The Smith Center of Excellence represents a new model of American philanthropy and will pave the way for groundbreaking discoveries that will have a transformative impact on our research enterprise and its role in improving health equity for veterans and their families. These survival disparities represent a real crisis, and this gift – so timely in the spirit of honoring the legacy of Dr. King – has the power to save lives." The timing of Mr. Smith's philanthropy is crucial. For veterans with late-stage disease who are running out of choices, this gift will enable the Prostate Cancer Foundation to accelerate the work of clinical investigators working to solve some of the most lethal forms of prostate cancer while also advancing the quality of healthcare for African-American men. The Prostate Cancer Foundation (PCF) is the world's leading philanthropic organization funding and accelerating prostate cancer research. Founded in 1993, PCF has raised more than $745 million and provided funding to more than 2,000 research programs at nearly 200 cancer centers and universities. The PCF global research enterprise now extends to 19 countries. PCF advocates for greater awareness of prostate cancer and more efficient investment of governmental research funds for transformational cancer research. Its efforts have helped produce a 20-fold increase in government funding for prostate cancer. 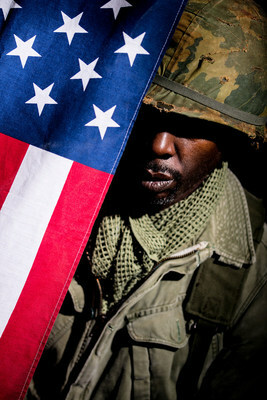 For more information, visit www.pcf.org.